The legends of skateboarding will compete in a completely unique team competition that celebrates three generations of vert skating! Each team will consist of one 1st generation, one 2nd generation and one 3rd generation vert skater competing together on the actual half-pipe from the X Games. There will be four different competitions where each pro will battle for team points against skaters from their own generation. The contests include individual runs, high air, best trick and team doubles. Check out the list of twelve top pros competing for the chance to go home with the glorious golden ring - er, trophy! And join them for autographs, to play the newest video game from Sega, and a chance to win prizes! Cost: Free, so bring your families and have a good time with SEGA and Sonic/skating fans alike! 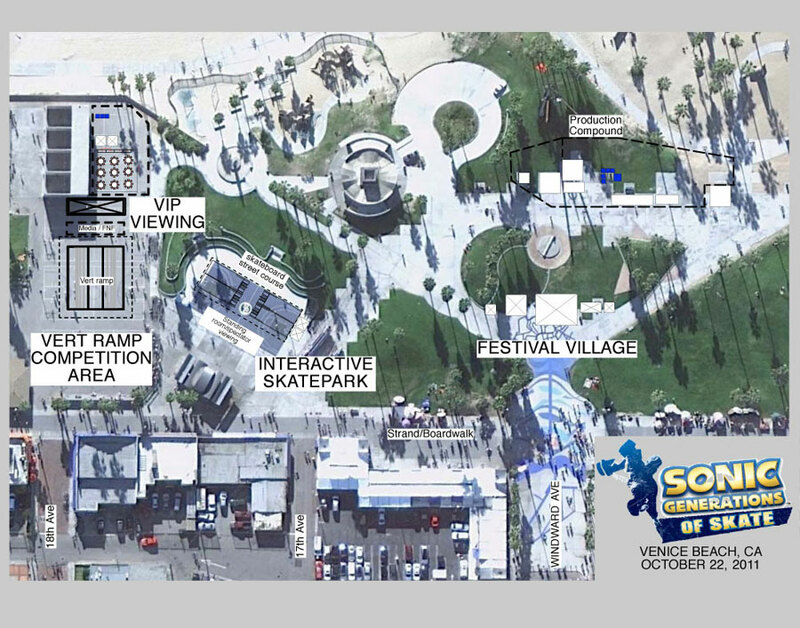 Open Skatepark and Skateboarding Clinic: Sonic is setting up a mobile pro style skatepark at the event site that you can ride for free! 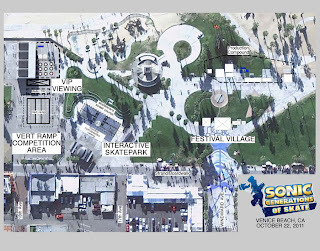 Register in advance at Sega.com/skatereg for one of the limited spots available at the open skatepark or skateboarding clinics taught by professional skaters!